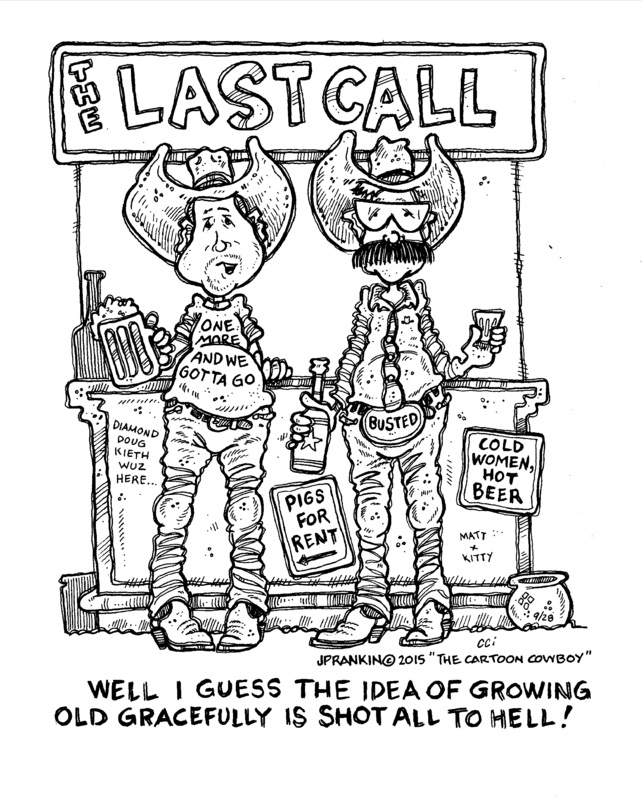 Cowboy Cartoons | JP Rankin "The CARTOON COWBOY"
The story goes … I might not be rich, … but after 7 whisky drinks it ain’t gonna matter a tinker’s damn anyhow! … one I did on a beer box flap for my friends Gwen and Corne from The Cocky Rooster Bar! IS DANCIN’ GIRLS IN FULL COLOR ! Cartoons are kinda like Spaghetti …. you never know when it’s done until you throw it against the wall to see if it will stick. 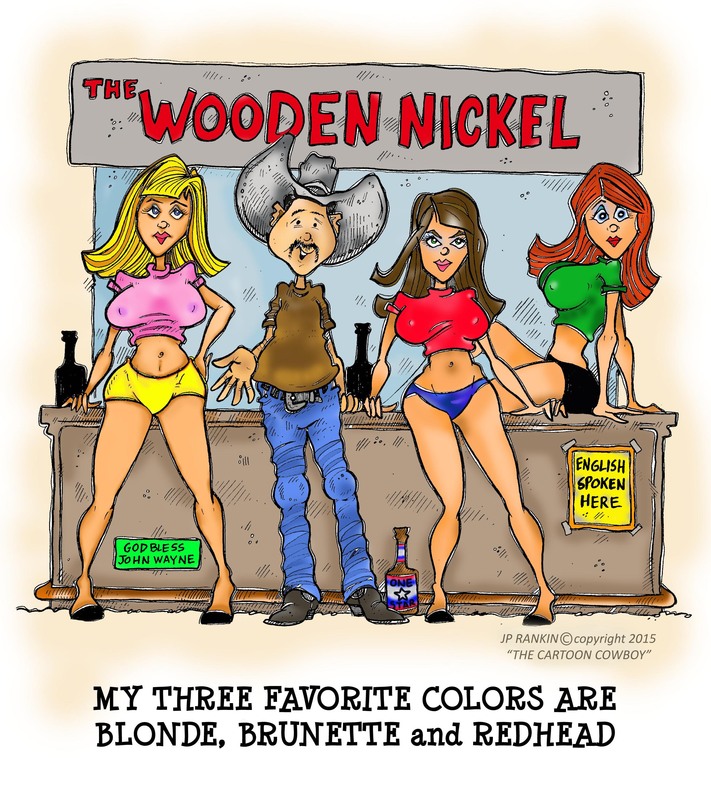 Blondes, Brunettes and Redheads …. … from 1997, The Romance is gone! From 1997 – What Makes You Think The Romance Is Gone? I would have to say this is probably one of my most popular cartoons. I spent about 16 days in a row at the San Antonio Stock Show and Rodeo with a good friend of mine, Rick McCumber and every day about every two hours “The Arbuckle Boys” would come on stage and sing “Ghost Riders in the Sky”. 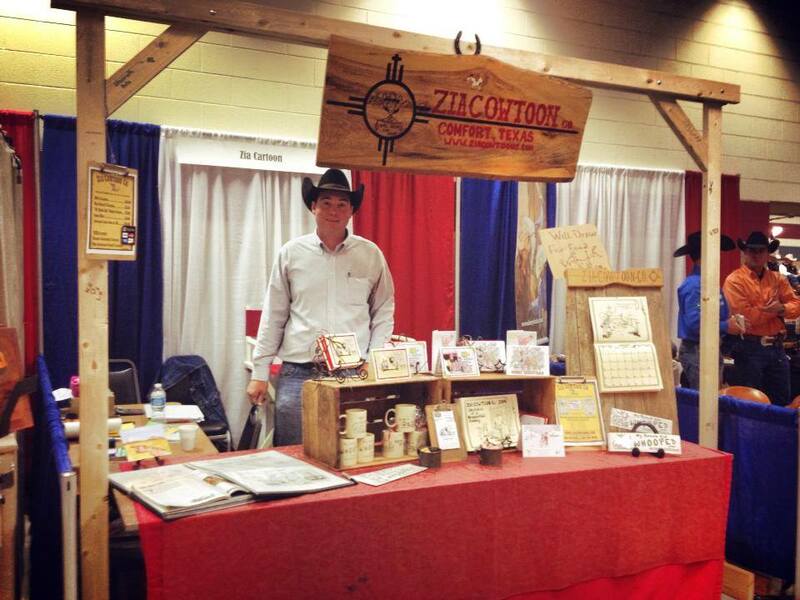 After a deluge of this one day Rick said … “hey cardboard cowtoonist I got and idea” … and the rest they say is history.